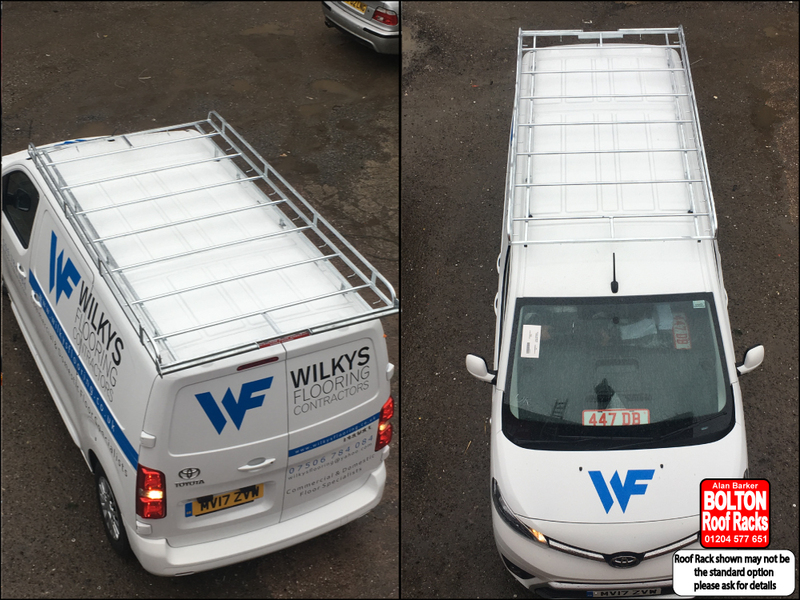 Toyota Proace Roof Racks from Bolton Roof Racks Ltd. Roof Racks for Toyota Proace Models we hold in Stock. The Toyota Proace is a very popular vehicle. The Toyota Proace is a motor vehicle produced by the Japanese manufacturer Toyota. First launched in 1967, the Proace has since been available in a wide range of configurations, including minivan (MPV) and minibus, van, pick-up, taxi, and ambulance. Get the best out of your Toyota Proace by adding a Roof Rack.